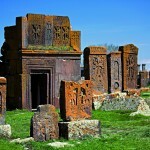 Yerevan is an ancient city. 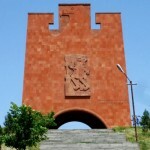 Prior to Yerevan becoming the capital of Armenia since 1918, there were 11 other historical capitals of Armenia: Van, Ani, Armavir, Yervandashat, Artashat, Tigranakert, Vagharshapat, Dvin, Bagaran, Shirakavan, and Kars. Sis was the capital of the Armenian Kingdom of Cilicia. According to the majority of researchers, the city’s name is derived from an Urartian military fortress called Erebuni, which was founded on the territory of modern-day Yerevan in 782 B.C. by King Argishti I. The inscriptions found on two cuneiform tablets on the hill of Arin-Berd, states, “By the greatness of the God Khaldi, Argishti, son of Menua, built this mighty stronghold and proclaimed it Erebuni for the glory of Biainili and to instill fear among the country’s enemies…” This same fact was reaffirmed in other written sources of that and even later times, which allowed determining the date of the foundation of Erebuni as 782 BC. 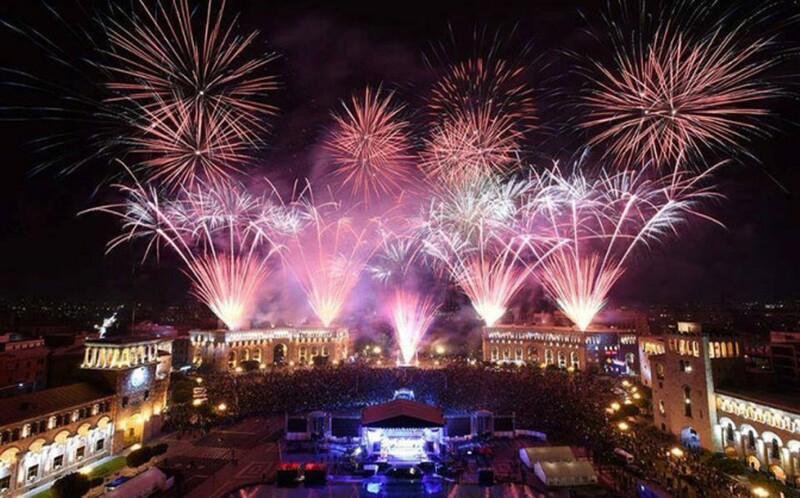 Erebuni-Yerevan was founded 29 years earlier than Rome and has about the same age as Babylon, Nineveh and Persepolis, but unlike them it has become one of prosperous cities of the 21st century. The city endured numerous raids of Assyrians, Romans, Byzantines, Persians, Arabs, Seljuks, Mongols and Turks, but the people continued to create resisting all miseries. 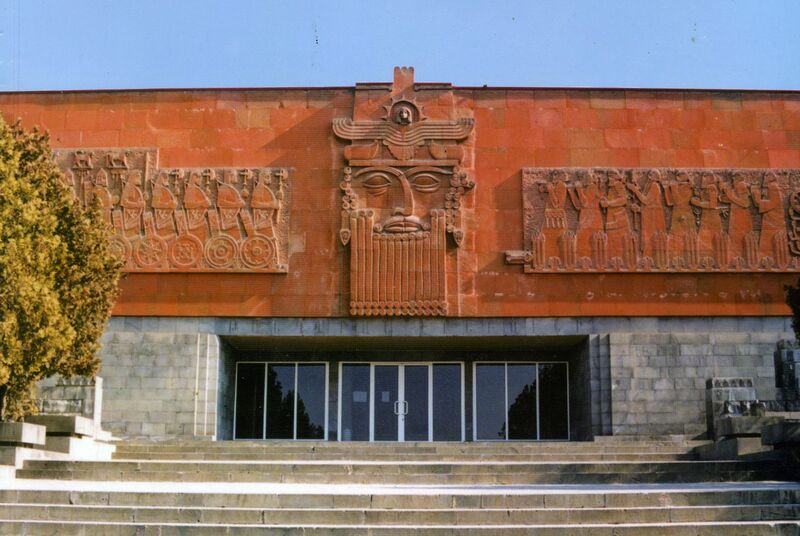 For many centuries, Erebuni-Yerevan played a significant role in the economic and socio-political life in Armenia, through it numerous caravan routes had passed, as it was a major center of trade. 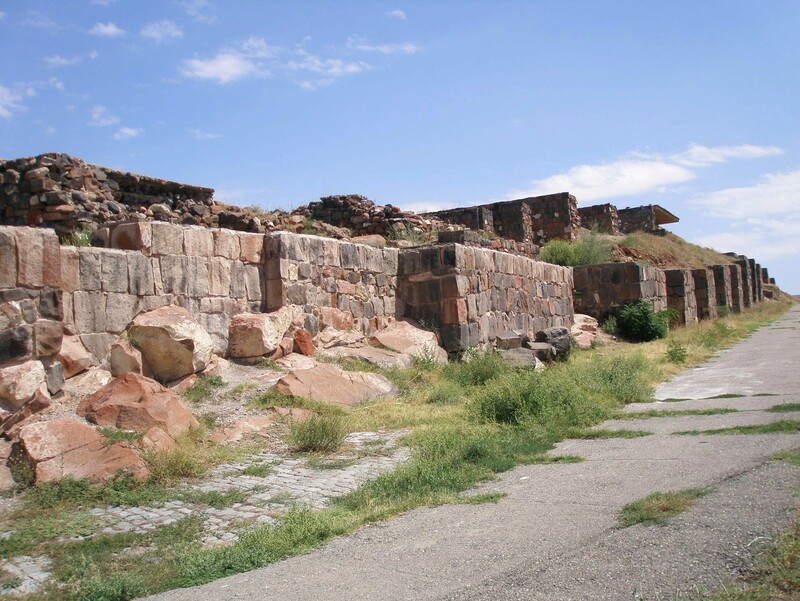 The invasions of Arab conquerors during the 7-11 centuries, and then the Seljuk Turks, successive with periods of relative peace, caused serious damage to the development of the city, under the walls of which there were resistant devastating battles. First, as “the capital of Ararat country”, Yerevan is meantioned in the annals of the 14th century. In 15-18 centuries, Yerevan suffered from violent robberies of the Ottoman Turks and the Persian invaders. In 1604, under the order of Shah Abbas I, tens of thousands of Armenians (including citizens of Yerevan) were deported to Persia. In 1679, a devastating earthquake razed the city to the ground. During the Safavid Dynasty rule, Yerevan and adjacent territories were part of the the Chukhursaad (Irevan) Beglerbekate administrative territory. The defense of Yerevan in 1724 from the Turkish invaders, in which the Turks lost more than 15.000 people, proved the courage and valor of the defenders, despite the surrender of the city. After almost a decade of economic management of the Turks, in 1735, the city was again conquered by the Persians and became the center of Yerevan Khanate. After Yerevan was taken over by the Russian troops in 1827, the other victories of Russia in the Caucasus, forced Persia to sign the Treaty of Turkmenchay and forever abandon the occupied territories, including Yerevan Khanate. Thus, in 1828, the region was incorporated into Russian Empire. As the city still lacked a lot, there was first need for its general plan. The first general plan of the city was made in 1854, during which time the women’s colleges of St. Hripsime and St. Gayane were opened and the English Garden built. In 1874, Zacharia Gevorkian opened Yerevan’s first printing house. In 1902, a railway line linked Yerevan with Alexandropol (Leninakan), Tiflis and Julfa. With the emergence of the railroad began to grow commodity exchange, to develop industry and new banks were opened. The same year Yerevan’s first public library opened. In 1913, a telephone line with eighty subscribers became operational. The 19th century was the time for progressive development of Yerevan. Travelers, who described the city of that period, still presented it as eastern, where everything, you can say, was built in two planes. One plane consisted of streets, the other – horizontal roofs, all of which were almost on the same level. Unfortunately, Yerevan does not have, sites of primary importance and of great antiquity, except the remarkable ruins of Erebuni, and the legend, which states that the site on which stands the city, was the place of residence of Noah before the flood. The buildings, which remained from the past centuries in Yerevan, include churches St. Katoghike, St. Ananias and St. Sarkis. It took 6 years from local technician Mehrabyan to create the general plan of the city. In accordance with the full-scale plan of Yerevan, executed in 1906 – 1911, the main streets of city were directed from the northeast to the southwest. City had many orchards and vineyards, whereas the slopes of the surrounding elevations were bare. In essence, Yerevan was build of by the clay houses, in general medium of which were separated numerous one- two-story stone buildings, several churches and mosques. Because there was no electricity, they could not think about structure of the tram, but entrepreneur Mirzoyan, by the way, a woman, bought the concession tram device for the city – crews moving on rail tracks with the help of horses, called horse-tram line. The first line, four miles long, ran along the street Abovyan to the market, and then the line was extended to the station. This company successfully existed until 1918. The city used to have tramways since 1933 as well, but these were decommissioned in January 2004. Since 1949, trolleybuses operate the streets of Yerevan. In 1909, the first hydro power plant with a capacity of 200 kW designed for electricity distribution to different consumers was built on the Zangou River (now Hrazdan) by the “Amper” company. Before World War I, 13 small power plants were built. First famous hotels were “Grand Hotel”, “Orinete”, “Marseille” and others. Numerous baths were necessary element of urban landscape of Yerevan in those years. At the beginning of the century, Yerevan had several hospitals; city hospital, eye, mental health, prison and private hospitals of surgeon Hovhannissyan and therapist Avetikyan. The Yerevan Zoo was founded in 1940. After a period of difficulty during the 1990s, the zoo is in better economic shape today. It hosts elephants, eagles, bears, camels and 260 other animal species. Many of the surrounding districts around Yerevan were named after former Armenian communities that were decimated by the Ottoman Turks during the Armenian Genocide. 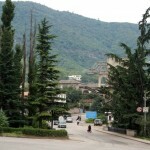 The districts of Arabkir, Malatya-Sebastia and Nork Marash, for example, were named after the towns Arabkir, Malatya, Sebastia, and Marash, respectively. Following the end of the Second World War, German POWs were used to help in the construction of new buildings and structures, such as the Kievyan Bridge. This brief introduction to the history of Yerevan City will help the reader to know more clearly its history of centuries.